If you like what you see on Blaire Beauty, but still require additional support for your day to day beauty routines or fashion advise for that special event, contact us for more information on remote or one on one private consultations. Together, let's review your makeup collection, weed out what products work well for you and toss the things that are expired or don't work for your skin tone/ look. From there, we will create a personalized shopping list of products that will work beautifully with the look and feel you are trying to achieve. All products will be selected based on the budget you wish to adhere to. Looking forward to connecting with you at a local coffee shop, my office, or in your home. Services, as mentioned above will be showcased PLUS a complete makeup application and/or lesson. Let's use the products you have to achieve the look you love. Let's get you feeling your best, beautiful! 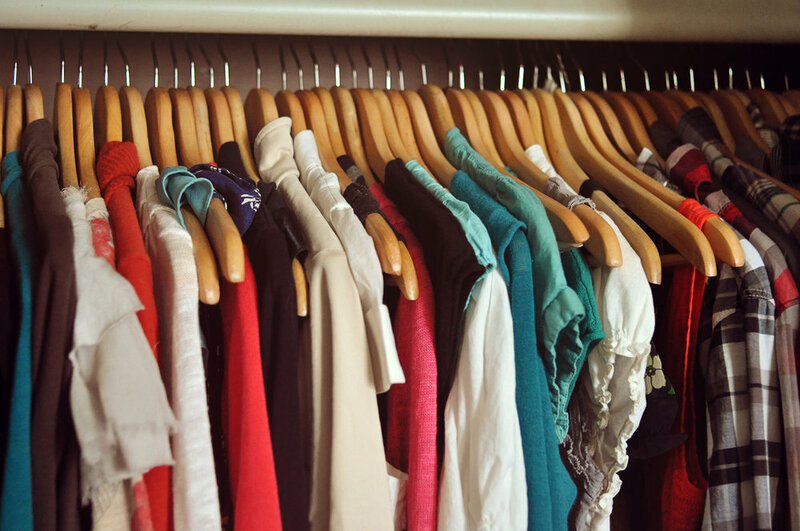 Have a closet full of clothes but have nothing to wear? Let's review your clothing together and decide what works for you and what doesn't. From there, we will develop a plan of attack for your next shopping trip - all with your budget in mind. PACKAGE 4 - Wardrobe Review, Organization & SHOP! Services, as mentioned above will be showcased PLUS a complete shopping trip together. Together, we will make a trip to your local shopping facility to shop 'til you drop, using a budget of your choice. Once we have reviewed your closet, established a plan and are ready to shop, we will do so together. Coffee in hand.